Bookmakers have trimmed the odds on a no deal Brexit after the European Union admitted it's “increasingly likely” that Britain will leave the EU without a withdrawal agreement in place. Although Friday, March 29, is – as yet – still officially the day the UK is due to leave the EU, Prime Minister Theresa May has been granted an extra two weeks to find a solution. 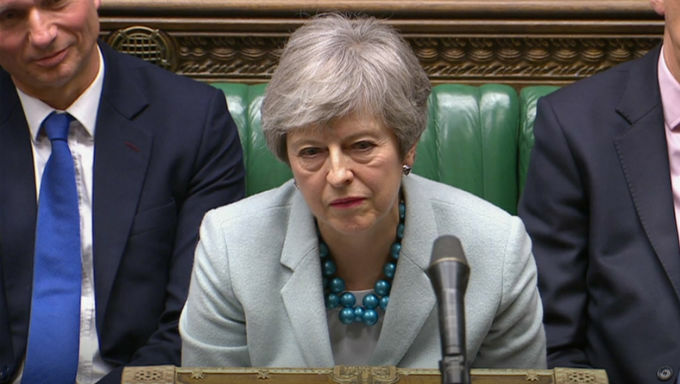 The PM is set to table secondary legislation by Friday which would remove the original Brexit deadline from the law and thereby open up fresh opportunities on how to end the saga in April or May. If she can convince MPs to support her leave proposal this week, Brexit can be delayed until May 22, but if – as expected – she fails to win their backing, the UK must propose a solution before April 12, or face whimpering out of the EU without an agreement. According to bookmakers, a so-called third ‘meaningful vote’ is unlikely to pass, with most political betting sites offering around 1/2 on the House of Commons rejecting May’s deal for a third time. With all that in mind, the EU insist they are fully prepared for a no deal Brexit, alerting traders at Paddy Power when claiming the chances of Britain leaving without an agreement are on the rise. A press release from the EU read: “As it is increasingly likely that the United Kingdom will leave the European Union without a deal on 12 April, the European Commission has today completed its ‘no-deal’ preparations. “At the same time, it continues supporting administrations in their own preparations and urges all EU citizens and businesses to continue informing themselves about the consequences of a possible ‘no-deal’ scenario and to complete their no-deal preparedness. As such, Paddy Power have this week shortened their odds on a no deal Brexit from 10/3 to 12/5, a probability increase of 6.3%. Of course, another option that remains for the UK is to revoke Article 50, the legislative procedure for any country who signals their wish to leave the EU. However, despite over 5.5 million Britons signing a petition to effectively cancel Brexit, Theresa May insists it won’t happen, and bookmakers are taking her word for it as they remain odds-against at 5/2. The chances of a second referendum on the matter are also odds-against, with 9/4 the going price with the best bookmakers, who are confident in no second referendum at 1/3. Does Howard Schultz Impact 2020 Presidential Betting Odds?